Do you want to improve ROI on your marketing efforts? SmartTrack software has all the tools you need to speed sales leads from any source to the appropriate territory and provide information to prospects in minutes rather than weeks. SmartTrack is a single source for all lead tracking and sales lead management information for your entire organization. Do you have multiple sales lead sources? 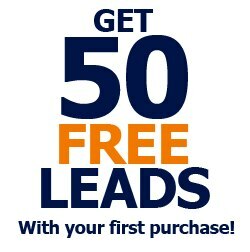 Sales lead management software for less than the cost of a single ad campaign or trade show event. SmartTrack software is quickly installed, easy to use, and will provide ROI within weeks. Do you exhibit at trade shows, advertise in trade journals or purchase lists? SmartTrack software can help measure the effectiveness of every program. Our sales lead management system gives you the tools to track your trade show leads and measure the effectiveness of your marketing campaign or event. Do you have diverse channel partners? 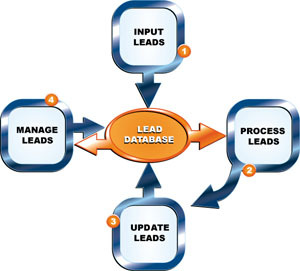 Our lead tracking software simplifies the lead management process and helps you incorporate your entire sales team, from direct sales reps to dealers, distributors and manufacturer reps.
Are your sales leads lost in the proverbial black hole? SmartTrack sales lead management and tracking software makes it easy for marketing and sales to track the status of all sales leads.